Soprano Alissa Rose is a native of Billings, Montana whose multi-faceted career has taken her around the United States and abroad. She completed her Doctor of Musical Arts at the University of Michigan in December of 2007, and is currently an Associate Professor of Voice at Mansfield University in Mansfield, Pennsylvania. Dr. Rose spent three years in Germany, where she sang at the State Theaters in Osnabrück, Münster, and Bielefeld, as well as singing with the West German Radio Chorus. Roles she has performed include Adina (L’elisir d’amore), Gretel (Hansel and Gretel), Adele (Die Fledermaus), Susanna (Le Nozze di Figaro), Frasquita (Carmen), Célie in Pasatieri’s Signor Deluso, Belinda and the First Witch in Dido and Aeneas, Esmeralda in Prodaná nevěsta (The Bartered Bride), Mabel (The Pirates of Penzance), and Berenice in L’occasione fa il ladro (Rossini). Her performance of Célie in Signor Deluso was released on Albany Records in 2006. Recent recital appearances have included the Endless Mountain Music Festival and lecture-recitals at the Festival of Women Composers International. Dr. Rose made her Carnegie Hall debut as a soloist with the American Composers Orchestra in the world premiere of Myrrha, by Kristin Kuster, and has premiered or sung second performances of many contemporary song cycles and operas, including music composed for her. Her concert appearances have included many earlier works as well, such as Händel’s Messiah and Israel in Egypt, Bach’s Christmas Oratorio, and the Haydn Little Organ Mass and Creation. 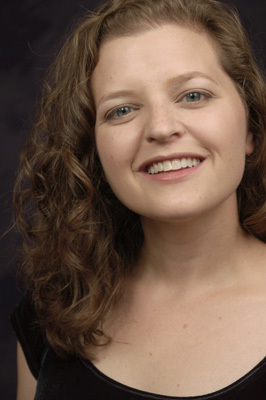 She has appeared as a soloist with such diverse ensembles as the American Composers Orchestra, BachWorks, the Billings Symphony Orchestra, the Battle Creek Symphony, Ensemble Horizonte (a contemporary music ensemble), the Mansfield University Festival Chorus, and the Bielefelder Philharmonie. A Regional Finalist in the Metropolitan Opera National Council Auditions, Dr. Rose has been a finalist in several competitions. Dr. Rose is currently the PA District Governor for the National Association of Teachers of Singing. She holds degrees from the Oberlin Conservatory of Music, Oberlin College (Biochemistry), the Shepherd School of Music at Rice University, the School of Music, Theatre & Dance at the University of Michigan, and the Hochschule für Musik Detmold, in Germany.